Puppies are a joy to be around. They bring us happiness and love. But they can also be a handful! SF Dog Connect can help you get your puppy off to a great start and ensure he’s a well balanced, safe and happy dog for the rest of your lives together. You can start training your puppy as early as 8 weeks old. Housebreaking – Your puppy should learn to ask you to let her outside when she wants to go. And, she can even learn to go on command! Biting/teething – Your puppy needs to chew, especially when he’s losing his baby teeth (3-7 months). He also wants to play with his mouth. So, we need to teach him where he can and can’t put his teeth, and how hard he can bite when he’s playing with us. 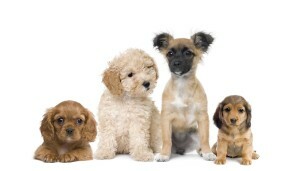 Socialization – Ideally, a puppy should meet 100 people before they are 12 weeks old. They should have played with different sizes and breeds of dogs, and learned about all the funny noises and objects in your neighborhood. Without proper socialization, your pup can develop fear, which can later turn into aggression. We can help make sure your pup becomes a calm and confident dog. Safety – Your puppy will explore everything . And she’ll do it with her nose and mouth. So, you need to ensure she doesn’t eat things or get into things that are dangerous. We’ll help you teach your pup boundaries and what she can and cannot eat. Manners – It’s cute when a puppy jumps up on you. It’s even cute when they first learn to beg for food or ask for attention. But what is cute in a puppy quickly becomes annoying or even dangerous in an older/bigger dog, so we need to teach them to ask politely for what they want and not to jump on unexpecting people, or whine at us during dinner. You want your dog to be welcome everywhere and a joy to be around so, just as with a child, you need to teach him manners. Being alone – Your puppy loves to be with you, but needs to taught that you’re sometimes going to go away, but you’re always going to come back. This ensures she will not get separation anxiety. Click here to read “How to Raise a Dog” – our practical paper on rules and boundaries for your puppy. 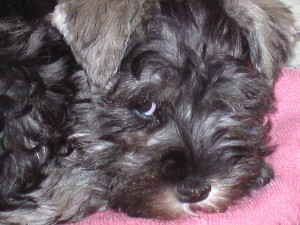 Call or write us to set up an initial puppy training consultation!